Look no further for the ultimate, an easy munching recipe for everyone's hanker is here ! 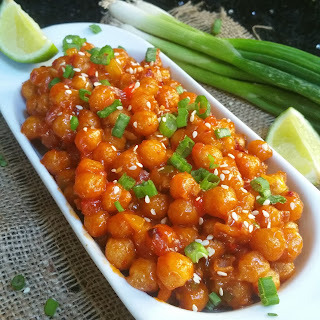 Kabuli chana chili is a protein packed,flavour bursting,quick fix treat and an ultimate sharing option for a casual night with friends/family. Though the make, sounds similar to chili paneer and chili potato, the addition of kabuli chana allures one, by its looks and versatile flavor. 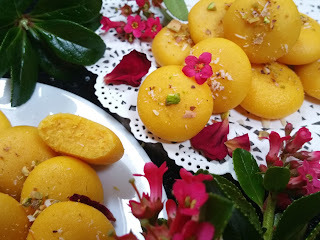 Peda is a delicious and very poplular Indian dessert. Traditionally its make involves tidious and lengthy process where in milk is cooked for hours until thick and sweetened with sugar later shaped into small bite sized nuggets. But here i'm with a simplified and just way too easy microwave version of it that is equally tasty and mouth melting as store bought ones. 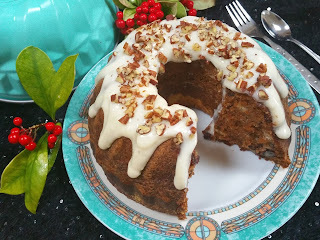 Maple Pecan Carrot Bundt cake ! You will instantly fall in Love with this incredibly moist and creamy Maple Pecan Carrot cake topped with cream cheese frosting and a bonus cream cheese center. Carrots remain the love of all. Might be due to the health reasons as it sources in providing Vitamin A required to your body and also not to forget the appealing colour which attracts every kid to munch on. 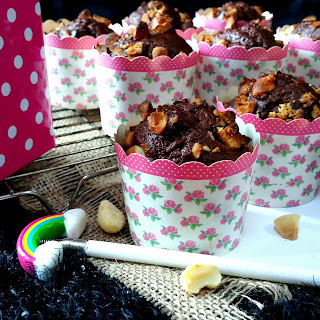 A first impulse in making a cake healthy, is to dissect the refined sugar, flour and fat content in a recipe. All in All , A wholesome and healthier bake for your family, friends and little ones this Easter. 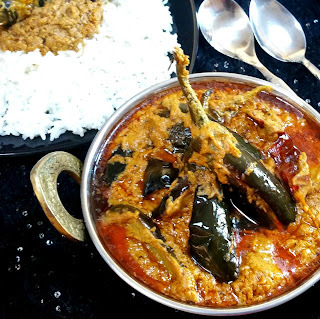 Badeela Koora is a traditional dry curry recipe of Telangana household made using just a handful ingredients where Fenugreek leaves and Chickpea flour are the main ingredients. 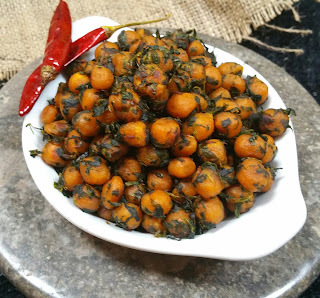 In this recipe the Badeela or the Chickpea Flour balls are prepared and cooked along with methi leaves and tempered with mustard seeds and jeera added it a great flavor and making it a healthy indian diabetic friendly recipe. Fenugreek/Methi is very good for people with diabetes because it contains fibre and other chemicals that are thought to slow digestion and the body’s absorption of carbohydrates and sugar. Serve Menthi Aaku Badeela koora along with steamed rice and Inguva Chaaru for an Andhra style sunday lunch and a diabetic friendly meal. 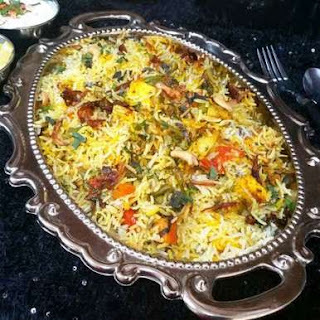 Chhena Angoor or Angoori Rasgulle. Holi , The festival of colours marks the beginning of Spring season and is also known as The Harvest festival. On this eve of colors , I wanted to share something colorful and equally delicious with you all. So here it comes the colorful Angoori Rasgulle, the smaller version of traditional Rasgulla. Rasgulla has always been a treasured dessert of the east coast of Indian Sub continent. 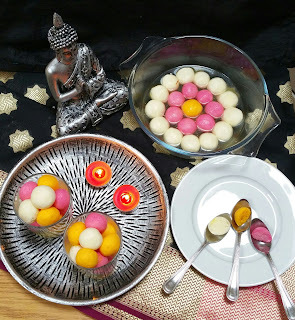 The secret behind a perfect rasgulla lies in its spongy yet light and juicy texture of it.While the Rasgulla remain white, the Angoori are coloured and coated with desicated coconut. This might sound as the simplest variation to the regular ones but let me make it clear , that it will definitely multiply the excitement. A dessert that is equally enjoyed by everyone, irrespective of the age groups is here for you all. Let's head towards its making. Paneer Matar masala or Matar Paneer is an exotic dish that belongs to North Indian cuisine. 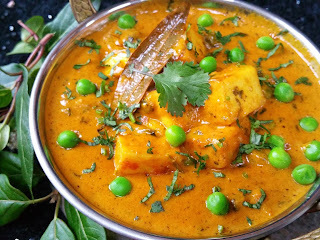 Paneer matar masala is a simple and easy dish to make,when in a rush.The exotic looks, subtle flavors, creamy gravy and not to the forget the boon to Indian cuisine the king "Paneer" make it a worthy dish and great addition to anyone's meal. Like any other dish even this one has endless variations and options to try for. But having a challenging palette to satisfy turns the things around and pushes you to try for something different that is not only healthy but the one that consumes less time too. Saying that, this dish gets done in 30 minutes max. 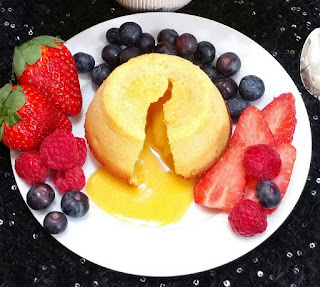 White Chocolate Lava cake ! Molten chocolate lava cake is a popular dessert that combines the elements of a chocolate cake and a souffle. Decadent, gooey and chocolaty lava cake is definitely a crowd pleaser both by looks and taste. Earlier I've shared the Milk chocolate lava cake and this time took it step further by baking the white chocolate one. Yes, it's one of a kind, not much heard or made. But for our Love we always take that extra effort, don't we ? Bake this for your Valentine and he/she will definetly feel your Love ! What kid doesn't love Cream biscuits or sandwiched cookies ? Licking the cream centers is part of everyone's childhood, Agree ? Might be the case of middle 80's who enjoyed the Britannia version or for that matter this gen's who crave for Oreo. I belong to the former group who enjoyed snacking on britannia Cream biscuits especially the Orange flavored one. 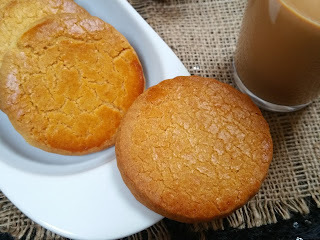 Lately, I bumped into this post in one of the baking groups by pearlsofeast related to orange biscuits that reminded and inspired me to try My childhood love Orange cream biscuits. And to my surprise they did not disappoint me. The bakes turned out "Perfect, Just Perfect ". 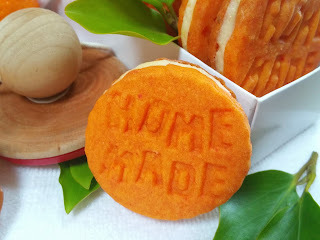 The crunchy sandwiched Orange biscuits with pulpy orange butter cream filling and most of all the "Home made"cookie stamp added more to its attraction. Hope many would agree at the very first glance of it. Won't you ? Are you looking for a quick , easy and delicious tea time snack ? Then you are in right place and looking at the right recipe. Besan Kachori is the perfect treat for you and your loved ones. 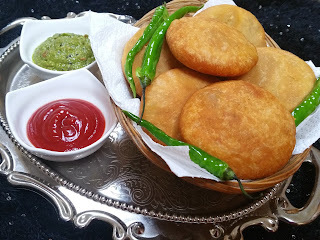 Kachori is a famous spicy snack of India. The flaky crisp crust and spicy flavorful filling would make any one drool. With endless varieties of Kachori made across the country using so many different delicious fillings, Besan Kachori remains the favorite and the most sold in food joints. Serve them hot with a cup of ginger tea or at room temperature with imli or green chutney , choice is yours. These stay good for up to a week, stored in an airtight container at room temperature which also makes them a perfect snack on the go. 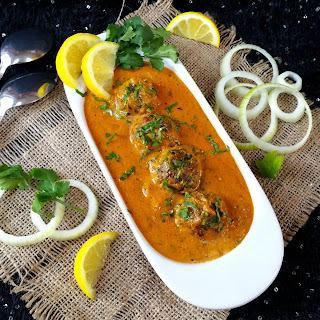 Hyderabadi Bagara baigan , a traditional gravy recipe from the Nawabi cuisine of Hyderabad ,Telangana is a rich, indulging,aromatic and a flavor packed dish. Roasted and Ground peanut sesame gravy simmered in tangy Tamarind sauce flavored with spices is a definete crowd pleaser. Bagara Baingan pairs well with all the rice and Indian bread varieties. This is a good make ahead main dish that stays good for couple of days at room temperature and almost upto 5 days in refrigerator(when seasoned well). Osmania biscuits are pretty famous biscuits sold in Irani cafes of Hyderabad,Telangana state. These biscuits got their name after the last ruler of Hyderabad, Mir Osman Ali Khan. To make an evening perfect , all u need is a cup of Irani chai and osmania biscuit.A perfect balance of sweet and salt makes them stand out and unique when compared to other biscuits. Making them at home is also a pretty easy affair. Serve Osmania Biscuits Recipe along with Irani chai.